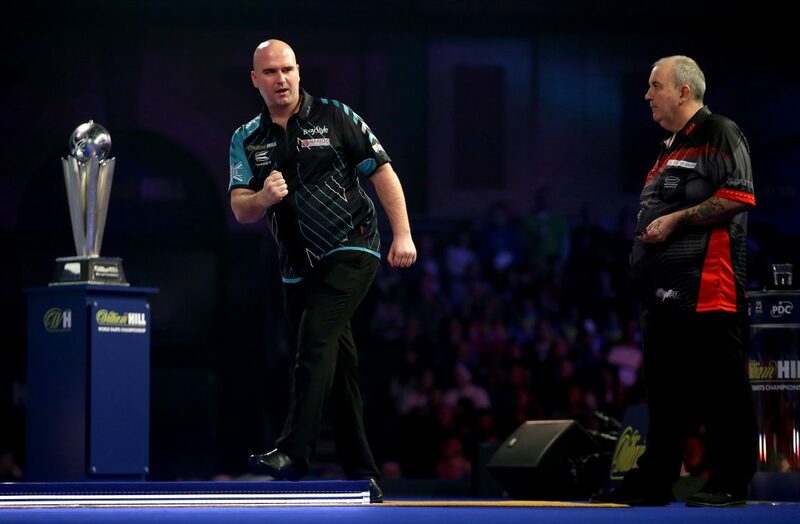 Can world champion Rob Cross succeed in Premier League Darts? Can Rob Cross become the 2018 Premier League Darts champion? Sport has the ability to throw up the occasional surprise and truly capture the imagination of the public. Former electrician Rob Cross embarked upon a fairytale 2017 which culminated in the 27-year old becoming World Champion at Alexandra Palace on January 1st. ‘Voltage’ beat the outgoing Phil Taylor to secure an unexpected title and automatically gained entry to the 2018 Premier League. After a shaky start to the campaign, Cross has climbed the standings and he is now aiming to become world and Premier League Darts champion in the same season. Can he complete this unlikely double? Rob Cross is a relative newcomer to the game and didn’t pick up his first PDC cheque until February 2017. His trajectory and recent progress has seen him rise to world number three and eliminate both Michael van Gerwen and Phil Taylor on the biggest stage of all. The 27-year-old told reporters that he was considering packing it in prior to his uncle ‘dragging him out of bed’ and persuading him to take part in the 2016 UK Open Qualifier. He achieved some notable results in the build-up to the World Championship, reaching the final of the European Championship in October and progressing to the quarter-finals of the Grand Slam of Darts. Cross credits his family for helping him succeed with his three children and wife Georgia keeping him grounded throughout and, despite his unprecedented success in North London, he remains extremely humble away from the oche. En route to his success at Ally Pally, he came up against world number one Michael van Gerwen in the semi-finals. This match was widely considered a ‘classic’ and was described as one of the most entertaining matches in the recent history of the tournament. Many predicted that the newcomer could be overawed by the quality of MVG but he matched the Dutchman stride-for-stride and stayed with him every step of the way. Both players averaged over 100 throughout and the game required a sudden-death leg in order to separate the pair. Cross was priced up as the outsider against Phil Taylor, who was stepping onto the oche for the final time and was hoping to secure his 17th title at Alexandra Palace. ‘The Power’ was hoping to end on a high but the relentless nature of Cross’ hitting allowed very little opportunity for his opponent to find his rhythm. Taylor admitted “…the way he started, I thought I would lose 7-0” and although this was far from a whitewash, the new World Champion always looked assured and ran out a deserved 7-2 winner. Rob Cross qualified for the Premier League as a result of his heroics in the World Championship. The Pembury-born player was one of four debutants in this year’s competition as the PDC opted for a much-changed line-up in 2018. Things didn’t go to plan for him in the opening couple of weeks, with consecutive defeats to Michael van Gerwen and Simon Whitlock. Outside of the Premier League, ‘Voltage’ had also suffered a 10-8 defeat to Mensur Suljovic in the Masters and his credentials were suddenly being questioned. The newly-crowned World Champion stopped the rot with a 7-5 victory over Peter Wright on March 15th and he hasn’t looked back since. He’s won five of his eight games and despite suffering an unexpected defeat to Daryl Gurney on March 29th, many are predicting he will reach the latter stages of the competition. Cross has already qualified for the next stage of the tournament and his hiccup against the Northern Irishman can probably be attributed to the partisan home crowd who roared on their local hero as he mounted a superb comeback from 4-2 down. Michael van Gerwen looks unstoppable in the 2018 Premier League Darts and the Dutchman will be difficult to stop. He’s dropped just 13 legs in the last five matches and darts fans will be desperately hoping for a rematch between him and Cross, and a possible repeat of that memorable semi-final at Ally Pally. ‘Voltage’ has already beaten Raymond Van Barneveld and Michael Smith this season, with the latter likely to be in the mix at the business end of the tournament. The 2017 final was a hugely entertaining contest, with Michael van Gerwen narrowly edging out Peter Wright on May 18th. The Scot appears a shadow of the player who pushed ‘Mighty Mike’ all the way at the O2 Arena and can be ruled out of a title challenge. MVG has the experience in the big games and his current form suggests that he should be able to wrap up successive Premier League titles. Rob Cross should also be able to reach the final although whether he can stop an in-form van Gerwen remains to be seen. After a shaky start to life in the Premier League, he has improved markedly and he has every chance. Sport regularly throws up unexpected outcomes and the former electrician has already proven his ability to hold his nerve on the biggest stage. He will need a repeat of his fearless performance at the World Championship if he is to overcome the powerful Dutchman once again and defy his critics. Twelve months ago, the possibility of becoming World and Premier League Champion in the same season was just a pipe dream for ‘Voltage’ but it has now become a realistic possibility for the impressive 27-year-old. 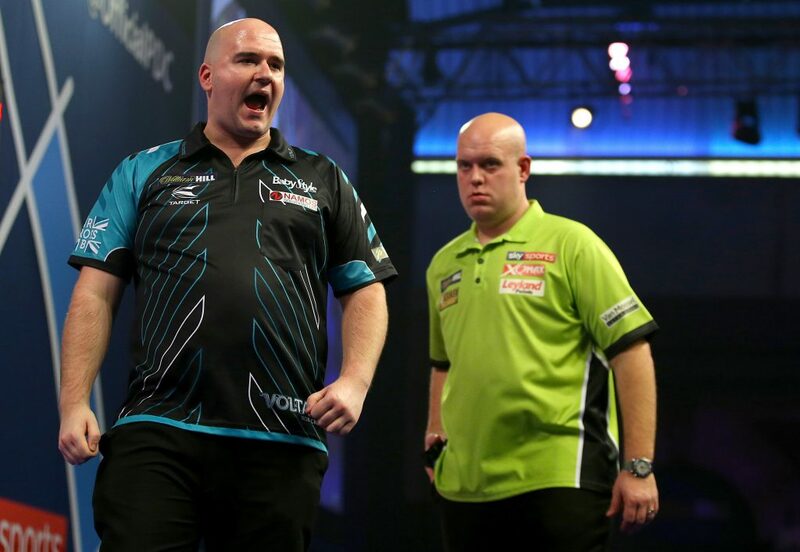 Michael van Gerwen appears to be an unstoppable force in this year’s competition and he is likely to be the only player who can stop Rob Cross achieving that goal. He may have to settle for second place in the Premier League this season but regardless of the outcome, he has shown his ability to overcome adversity and the World Champion retains his position as one of the classiest players on the PDC tour.